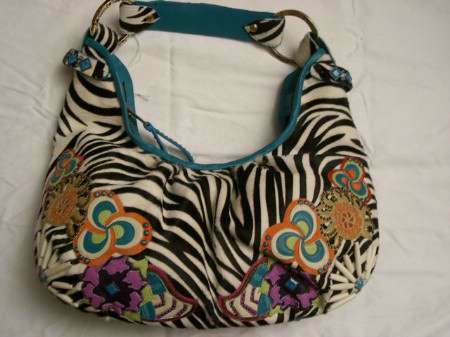 This Beautiful bag is made of cow hair hide printed over with a zebra pattern. It is then overlayed with a beautiful floral pattern and then overlayed with turquoise accents and offset by turquoise leather. All Kippys Products come with a lifetime manufacturer warranty on all studs stones and settings!! !